Blue Whale information on display at the event. People gather to watch the Blue Whale DVD. Blue Whale Study volunteer Bec Hall was more than pleased with the fundraising event held recently at Sully’s Cidery to raise funds for the conservation of endangered Blue Whales. 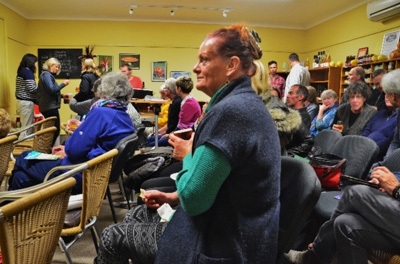 ‘To think that here in Braidwood (NSW) we can do something for these magnificent creatures which feed off the coast of Victoria, means people anywhere can do something to help.’ said Ms. Hall. Blue Whales are listed as Endangered and the Blue Whale Study, based in Victoria, is a charitable organisation led by Dr. Peter Gill, dedicated to the research and conservation of these elusive creatures. Total donations reached $630 with 37 people in attendance. Items which were distributed included badges, brochures and information sheets. Although not present on the night, Dr. Peter Gill, Senior Research Scientist with Blue Whale Study said ‘What Bec did just goes to show how passionate people are about the Blue Whale. It is the largest living creature on earth and everything we do to minimise threats and enhance its survival is critical. I cannot thank the people of Braidwood, Scully’s Cidery and Bec enough for their efforts. It’s an inspiration for all of us’. Discussions on how best to utilise the donations are underway with one option being ocean based surveys to photo-identify individual blue whales. 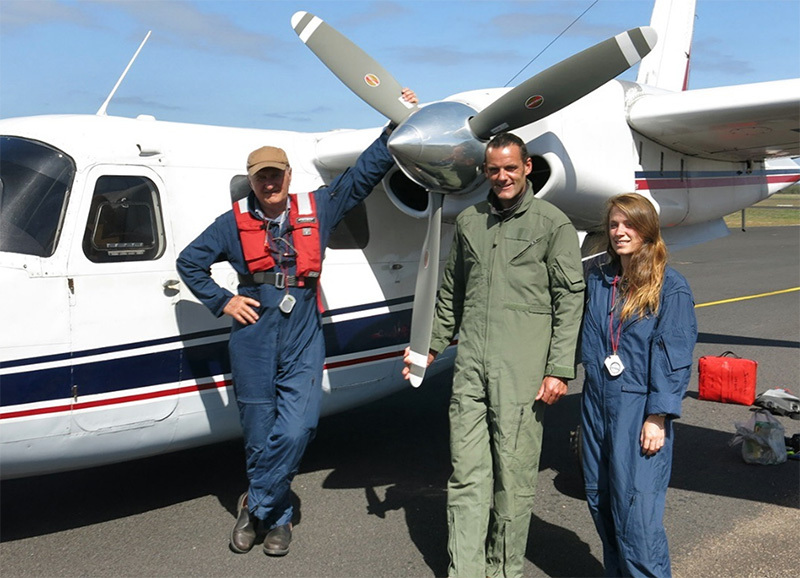 Blue Whale Survey crew (L-R) Dr. Peter Gill and whale observers Vince Antony and Jasmine Bursic (Deaking University Marine Science student) standing in front of the Aero Commander 500 Aircraft used for the survey. 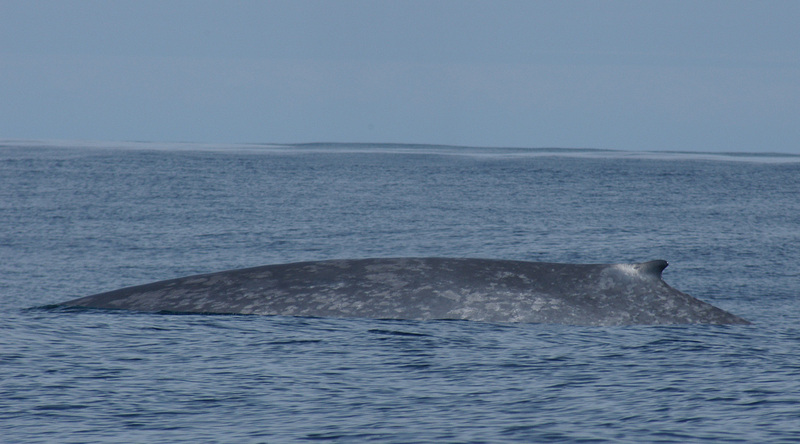 The team from Blue Whale Study are on the hunt for Blue Whales – but in a good way. An aerial survey was recently conducted to locate blue whales to get an idea of how many are visiting the region. The Blue Whales are listed as endangered and they come to feed on the krill which is in abundance due to the Bonney Upwelling phenomenon happening offshore along the SW coast of Victoria. ‘We saw nine blue whales during our survey’, said Dr. Gill. ‘This time of year in past seasons we have sighted 30 or more feeding offshore at this time of year, but during the last 4 years the numbers have been very low. This may be because changes in ocean conditions are causing the whales to visit other feeding areas’. Blue Whale Study is dedicated to the research and conservation of the blue whales and Dr. Gill is world renowned for his expertise of blue whale ecology and the Bonney Upwelling habitat. ‘It is vital we get more data on the visiting whales and we plan to go out in the research boat to get closer to them over the next few weeks’. Blue Whale Study has received funding from Warrnambool based and interstate philanthropic organisations to conduct the aerial surveys (2 of) and at least 9 days ocean based surveys. ‘It is terrific that this year we have a Deakin University marine science student with us who is keen to help us locate and photograph the whales’. 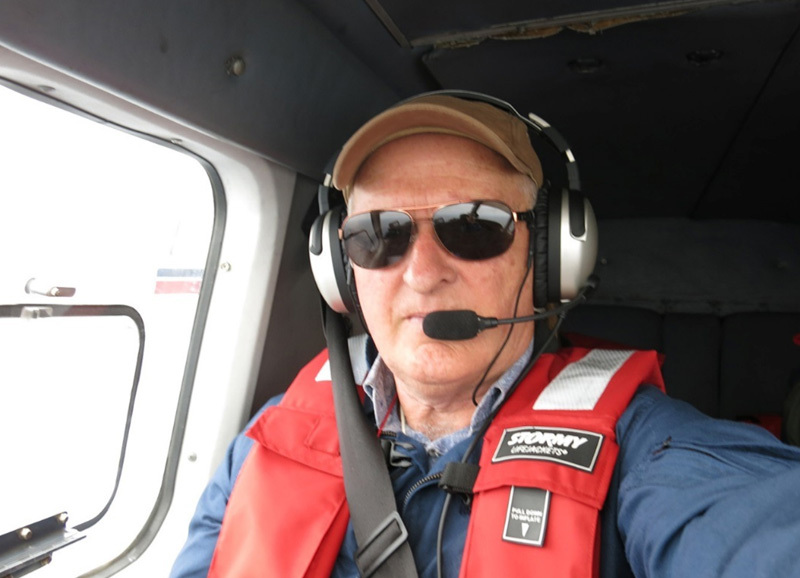 Dr. Peter Gill surveying for blue whales. The marine environment off Portland will be featured in the new series of Coast Australia by Foxtel’s History Channel. The Foxtel crew will be shooting footage in the area this week to highlight connections between complex seafloor topography, the dynamic Bonney Upwelling and the presence of feeding blue whales in the region. Two marine scientists from Deakin University, Warrnambool will assist with the film shoot. Senior lecturer Dr Daniel Ierodiaconou specialises in detailed mapping of the seafloor in the South-West using sophisticated sonar equipment and has thown remarkable light on intricate undersea structures along the continental shelf and in Bass Strait. Honorary Research Fellow Dr Peter Gill has studied the ecology of blue whales in their Bonney Upwelling feeding habitat since 1998. Dr. Gill is also the Senior Research Scientist for the Blue Whale Study which operates out of Tyrendarra. ‘This goes to show how important the endangered blue whales are to people as far away as England’, said Dr. Gill. ‘We have one of the most fascinating marine phenomena in the world taking place right here offshore from Portland and SW Victoria. The Bonney Upwelling is why the blue whales visit our region at this time of year, to feed on the krill which thrive during the upwelling’. PHOTO: Left to right: Dr Daniel Ierodiaconou; Dr Pete Gill; Cameraman Steve ? 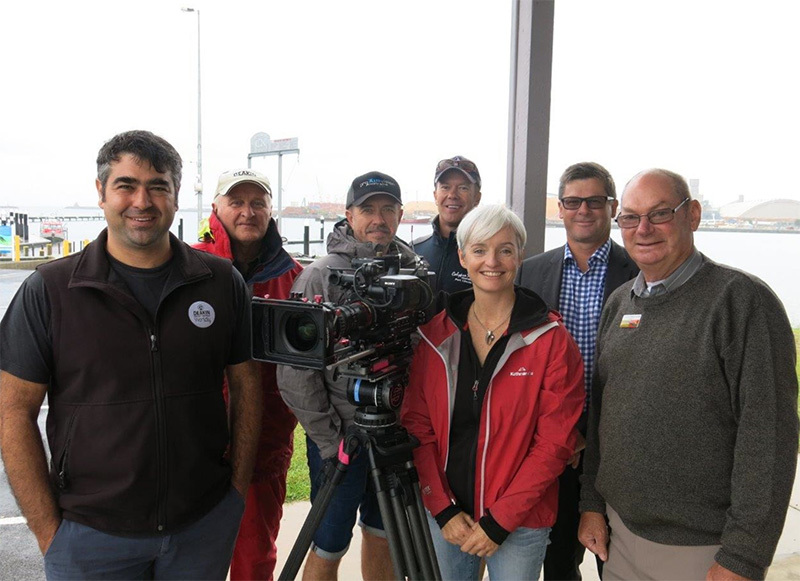 ; Producer Tim Vincent; Foxtel ‘Coast Australia’ Presenter Dr Emma Thompson; Glenelg Shire CEO Greg Burgoyne; Glenelg Shire Mayor Councillor Max Oberlander. Dr. Pete Gill presented at the 2015 Sprigg Lecture at the South Australia Museum on his research into blue whales in the Bonney Upwelling. 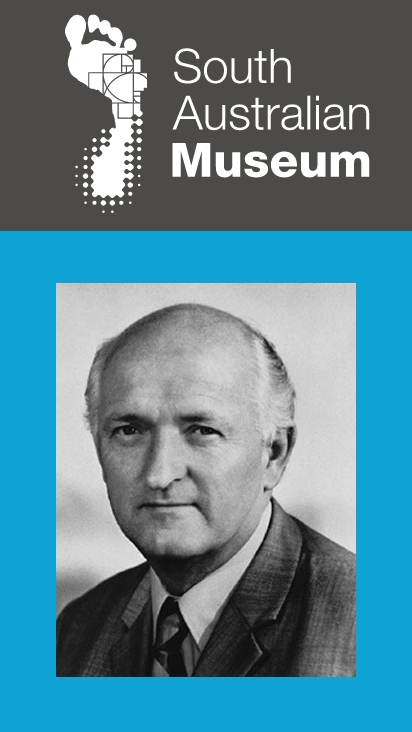 These free lectures commemorate the life of Dr Reg Sprigg AO, a remarkable South Australian geologist who discovered the world’s oldest fossilised animals in the Flinders Ranges in 1946, now internationally recognised as the Ediacara fossils. Blue Whale Study aims each year to mentor and train four lucky students from south west Victoria during the February to May. Each year in Portland (located in south west Victoria, Australia) hosts the Upwelling Festival. The festival is inspired by the Bonney Upwelling event which occurs off shore around the Portland region. The Upwelling Festival attracts many visitors and is a major activity for the town combined with the Rotary Art Show. 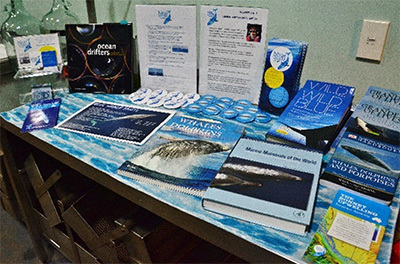 Blue Whale Study has a stall each year to provide information on the Bonney Upwelling and the blue whales. The festival occurs on a weekend around end of October or early November. We look forward to seeing you there! Photo-identification of blue whales is a simple, effective and non-invasive method of identifying individual whales, using unique and distinctive pigmentation patterns on the whales’ flanks. When a whale is photographed more than once, a ‘resight’ or ‘match’ is created. Analysis of resights helps us to build a picture of the lives of individual blue whales and gain an understanding of their patterns of occupancy of the region, reproductive rates, health indices, life history and movements between areas and years. Producing an efficient, up-to-date photo-ID catalogue will enable us to monitor movements of whales between regions and seasons and better understand population dynamics and impacts from the threats they face. 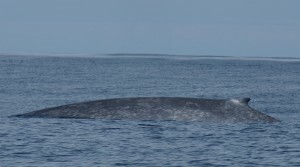 The image below is a good example of a distinctive photo-ID, and is particularly interesting as it was the first blue whale that had been photo-IDed in 2004 in the Perth Canyon, WA (by our colleagues at Centre for Whale Research WA), and then resighted by BWS in 2005 in the Bonney Upwelling, providing the first confirmation of a migratory link between these two important blue whale feeding grounds. In October 2007 Blue Whale Study (which had previously been known as Australocetus Research) was registered with Consumer Affairs Victoria (CAV) as an Incorporated Association. As a result the organisation is to operate according to its Rules of Incorporation (which are registered with CAV) and to submit annual operating and financial reports to CAV. In December 2008, Blue Whale Study Inc. gained Approved Research Institute status from the CSIRO. This status then enabled Blue Whale Study to gain Tax Deductible Gift Recipient and Charitable Institute status with the Australian Taxation Office. The organisation is also registered with the Australian Charities and Not-for-Profit Commission and is required to submit an Annual Information Statement to ensure we are operating as a charity organisation. The Blue Whale Study is managed by a Research Committee (consisting of 5 members) and holds its Annual General Meeting (AGM) in November each year. The finances of the organisation are audited annually and an independent accountant completes the quarterly BAS statements. Margie and Pete both went to the Biennial Conference on the Biology of Marine Mammals, the largest marine mammal conference in the world, held this time in Cape Town, South Africa. The conference was a great opportunity to meet or re-connect with others working in our field, and to hear the latest research from around the world. A Blue Whale Workshop was a special feature of the conference for us, bringing together for the first time almost all the blue whale researchers from around the globe. In March 2007 we were joined by our colleagues John Calambokidis and Greg Schorr of Cascadia Research Collective of Olympia, Washington, to conduct a program of attaching suction-cup dive loggers to study the foraging and feeding behaviour of blue whales. John and Greg are acknowledged as foremost specialists in the attachment of these tags, and we developed a great working relationship with them. This work is central to Margie’s Ph.D. on blue whale foraging behaviour, and allowed us to record the feeding dives of blue whales in three dimensions, overcoming the huge limitation that we normally have: that the movements of whales are invisible to us once they dive. We were able to tag seven blue whales, including a male-female pair for the first time. The tagging data, when analysed together with Margie’s krill hydroacoustic (sonar) data and temperature and salinity at various depths, will enable us to relate blue whale foraging behaviour to their upwelling habitat and their prey, krill. Margie’s work is focusing at the fine scale of individual whale behaviour, while Pete’s work has mainly focused on the bigger picture of whale distribution and ecology across the whole feeding area.